When I talk to people about things that I've made on my blog, one of the comments I get most is about how much people liked the Lion that I made for Ellie. She convinced me into making it by saying (while feverish and sick) that she needed a lion because "lions brave, ROAR!" Since I'm working on beefing up my pattern shop a bit, I thought that my Brave Lion Pattern might be a fun addition. 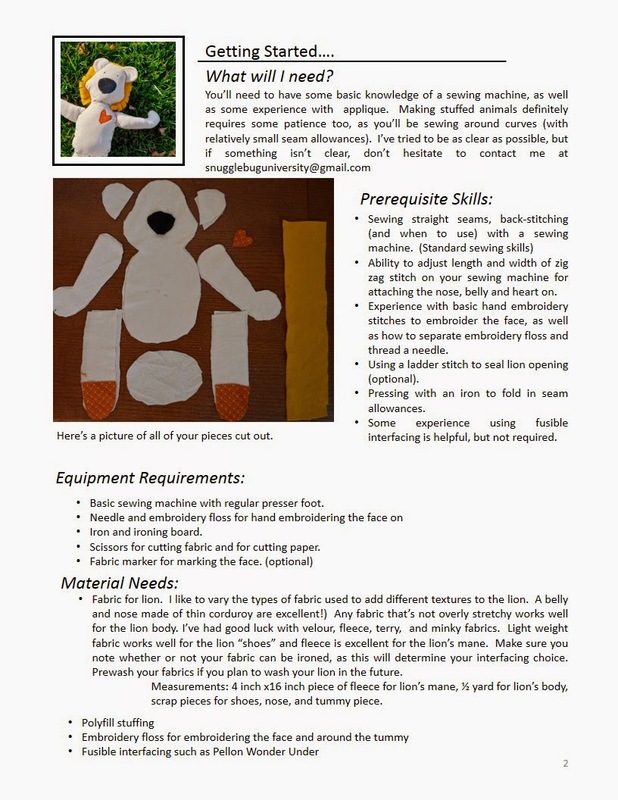 Are you ready to make your own brave lion? The pattern is a 12 page pattern (including 3 pages of templates) with over 35 color pictures illustrating the steps. It's a pretty simple pattern, but because it involves small seam allowances you'll need to have good control of your machine or it can be a bit tricky. The lion itself is about 18 inches from mane to toe, is stuffed with polyfil, and great for hugs. You can purchase it in my pattern shop or my Etsy shop. As with most of my patterns, this pattern is ok for use for the cottage industry sewer. 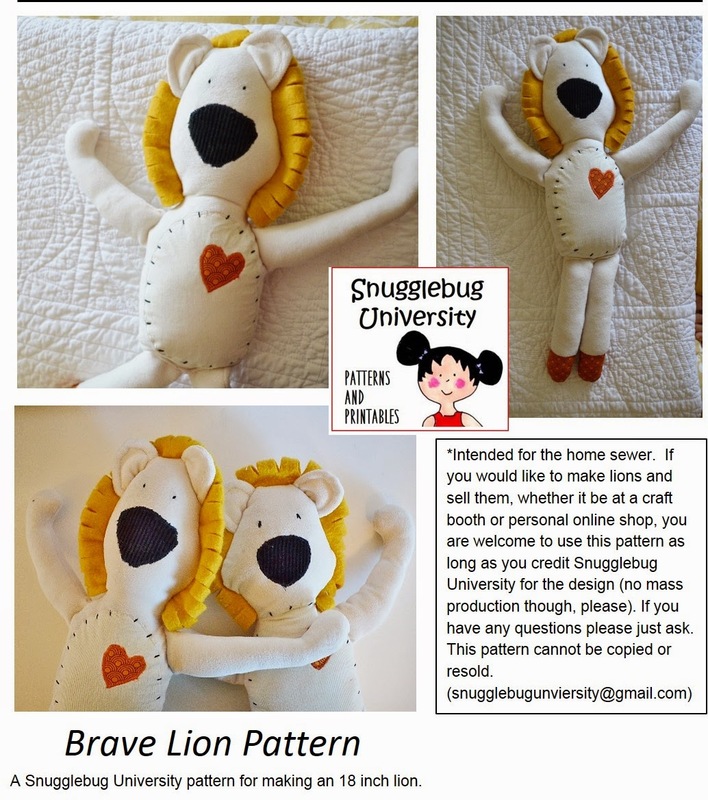 You can make lions for your own personal use, to give as gifts, or to sell (as long as you credit Snugglebug University for the design and are not mass producing it). The pattern itself cannot be copied or resold. Because of the digital nature of this pattern, I can't offer refunds. However, if you find something to be unclear, I'd be more than happy to clarify anything via email. 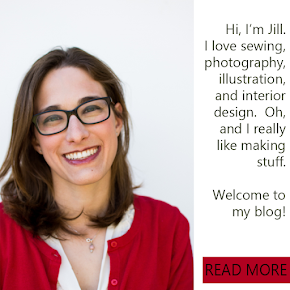 You can contact me at snugglebuguniversity@gmail.com .